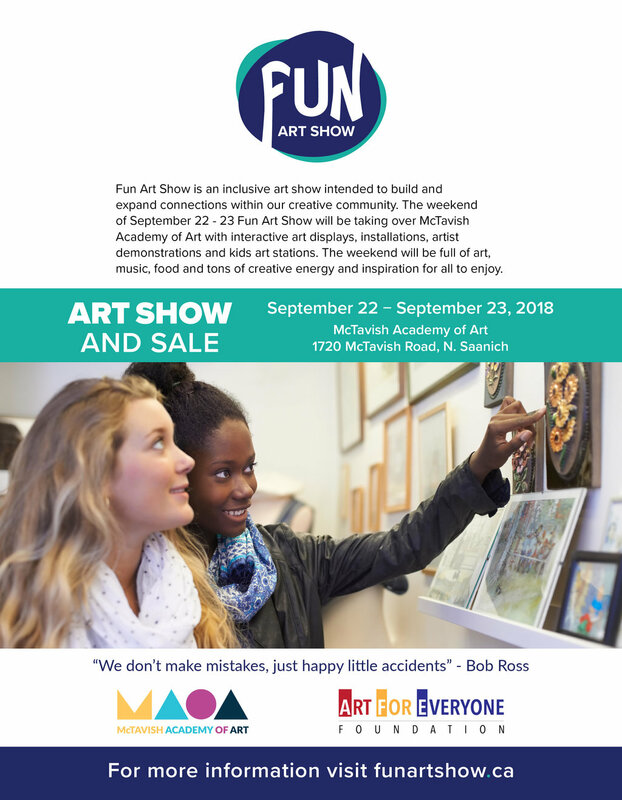 The FUN Art Show is an inclusive art show intended to build and expand connections within our creative community. The weekend of September 22 and 23, the FUN Art Show will be taking over McTavish Academy of Art with interactive art displays, installations, artist demonstrations, and kids art stations. The weekend will be full of art, music, food, and tons of creative energy and inspiration for all to enjoy. Entry is by donation to the Art For Everyone Foundation, a local non-profit that supports and funds inclusive, creative projects, events and programs in our community. Doors open 10:00 am to 4:00 pm Saturday, September 22nd and Sunday, September 23rd.